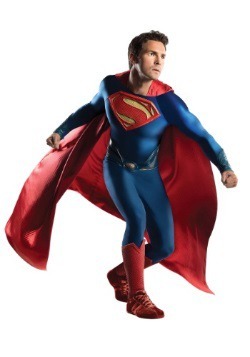 Fast as a speeding bullet, sensitive as a journalism major with a notebook. 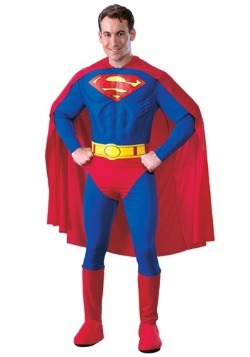 It's no wonder why Superman is a favorite costume of voice even after all these years! 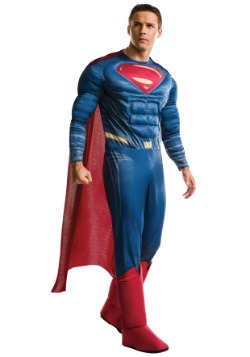 You'll have plenty of choices when it comes to these adult Superman costumes. 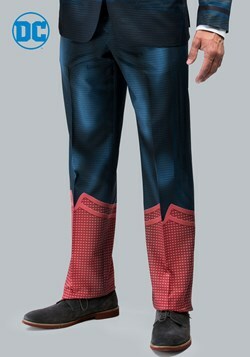 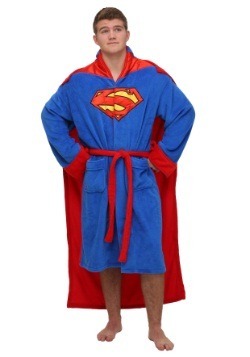 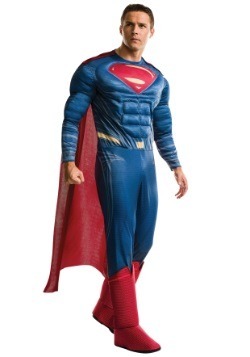 Rock a muscled blue Superman jumpsuit or throw on the black suited Clark Kent costume. 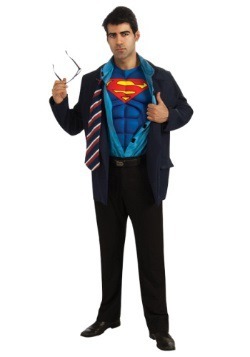 You'll feel powerful and proud no matter whatever your costume of choice might be! 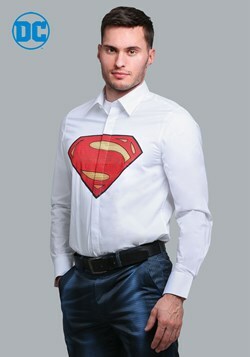 Do you sometimes feel like Clark Kent, a geeky bespectacled guy who actually is capable of super things, but feels invisible in everyday life – especially to the lovely Lois Lane? 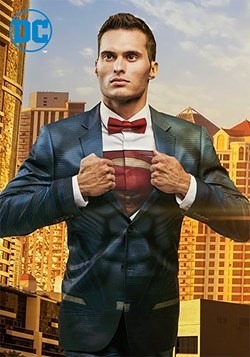 Have you been trying to think of a way to break out of your shell and show everyone what you're really made of? 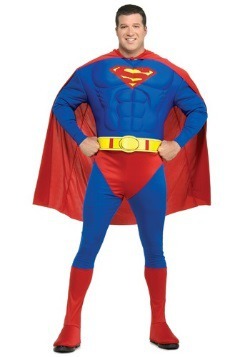 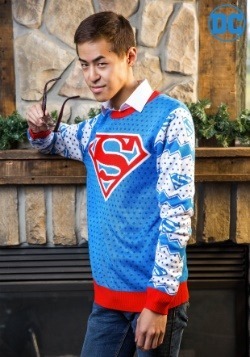 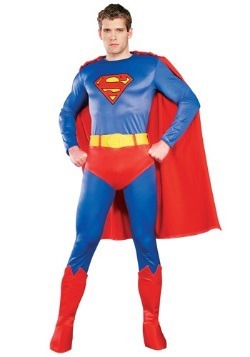 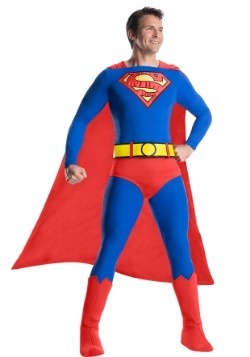 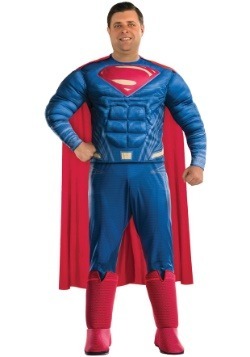 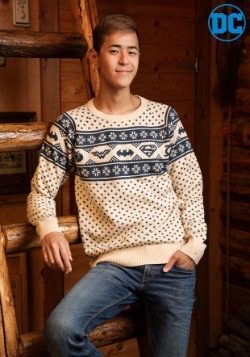 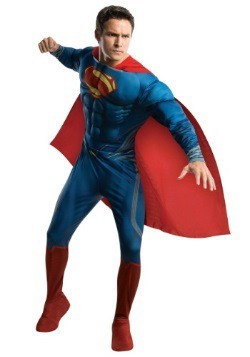 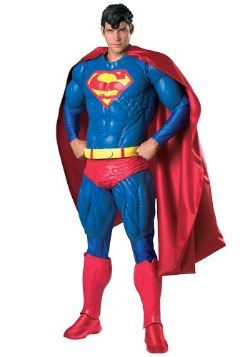 At this time, we invite you to take look at our Superman costumes. 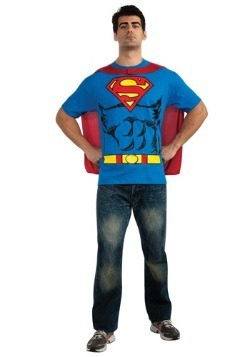 Superman was the hero that was always hiding just beneath the surface of a seemingly average guy. 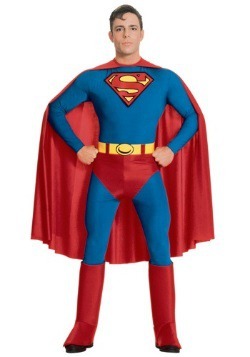 In a moments notice he was ready to leap into action and help people in need. 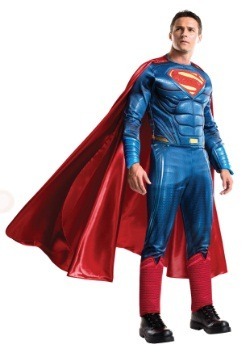 Maybe it seems a bit over the top to prepare for some kind of alien invasion, but certainly there are always opportunities to help people if you look. 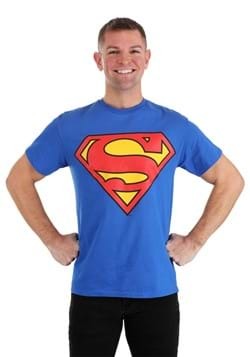 And when the time comes to lend a hand, even if you don't have the nerve to rip open your shirt to reveal the awesome uniform you are wearing with an 'S' on the chest, just knowing it's there is sure to boost your confidence. 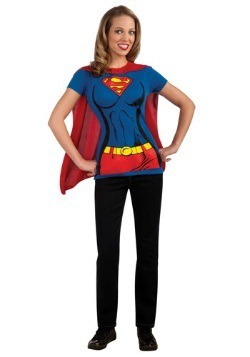 And who knows, maybe that extra confidence is just the thing to make your own “Lois” finally take notice.